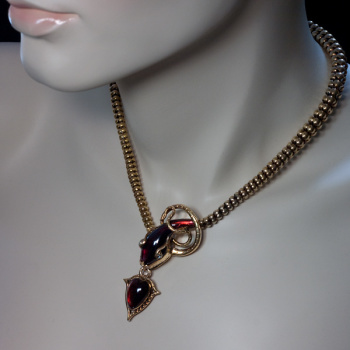 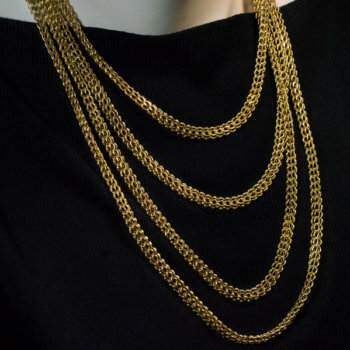 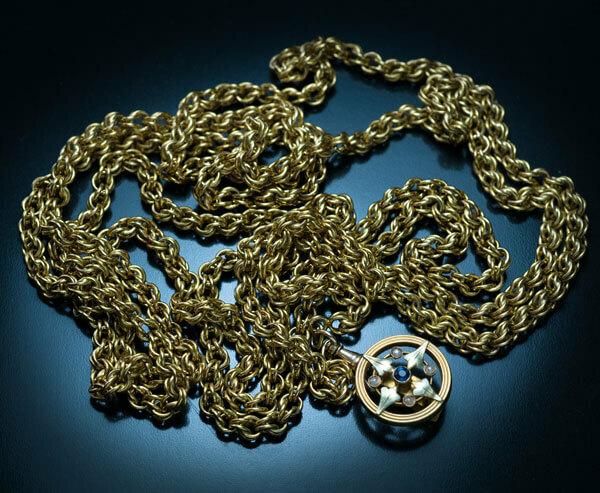 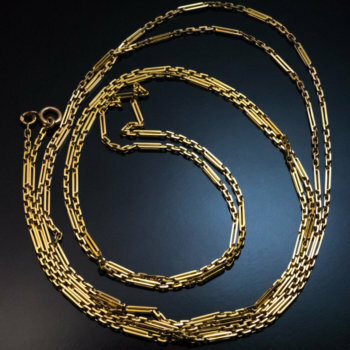 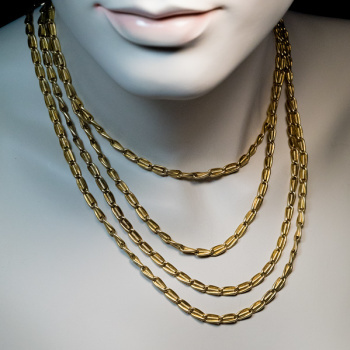 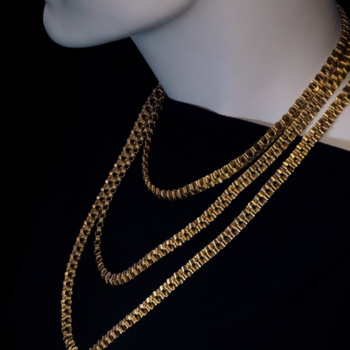 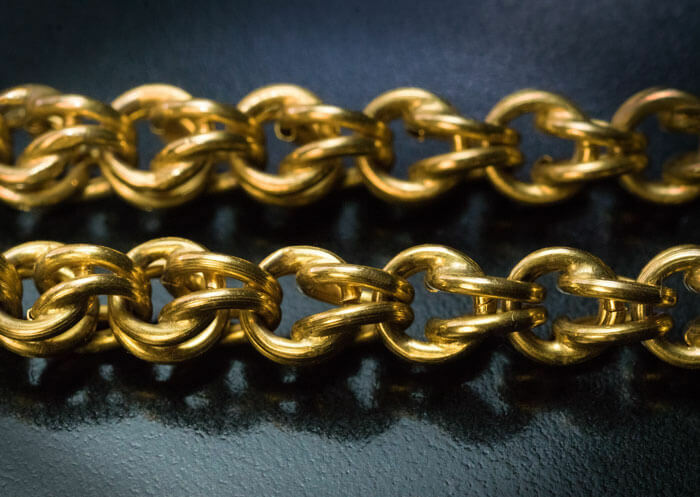 This hollow 14K gold chain necklace was made in Prague in the 1890s. 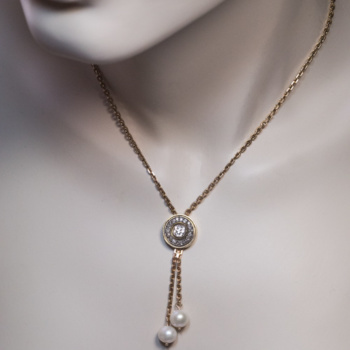 The round yellow gold charm is embellished with a green gold stylised flower accented by four seed pearls and a faceted blue glass imitating sapphire. 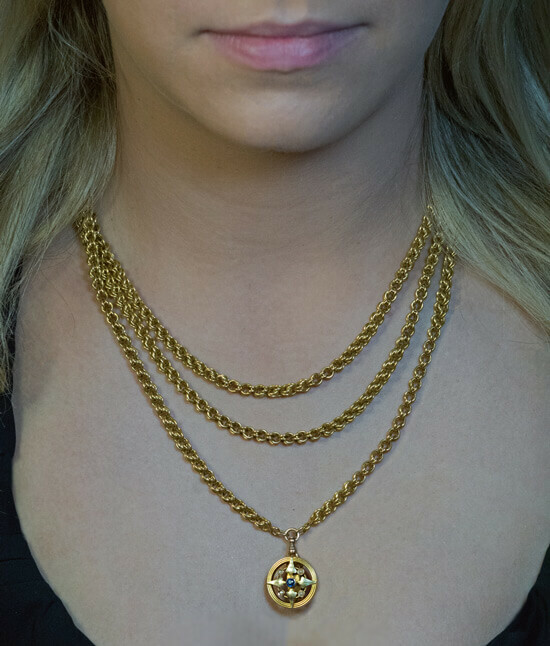 Total weight is 37.46 grams. 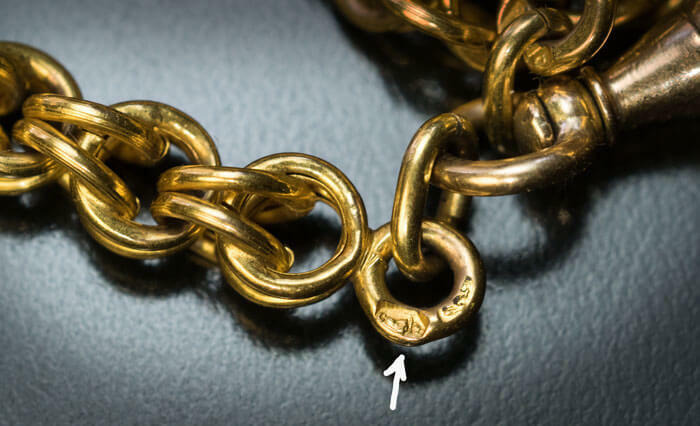 The necklace is marked with Austro-Hungarian Empire assay hallmark in the shape of a fox head, 4th gold standard, and letter ‘C’ for Prague.